The Trestles 30 is a reliable all-purpose bag for everything from weekend camping to days on the trail. SpiraFil high loft insulation, wave construction and 3D hood keep you warm and comfortable, while a long list of features gives you everything you’d expect from 40 years of crafting sleeping bags. 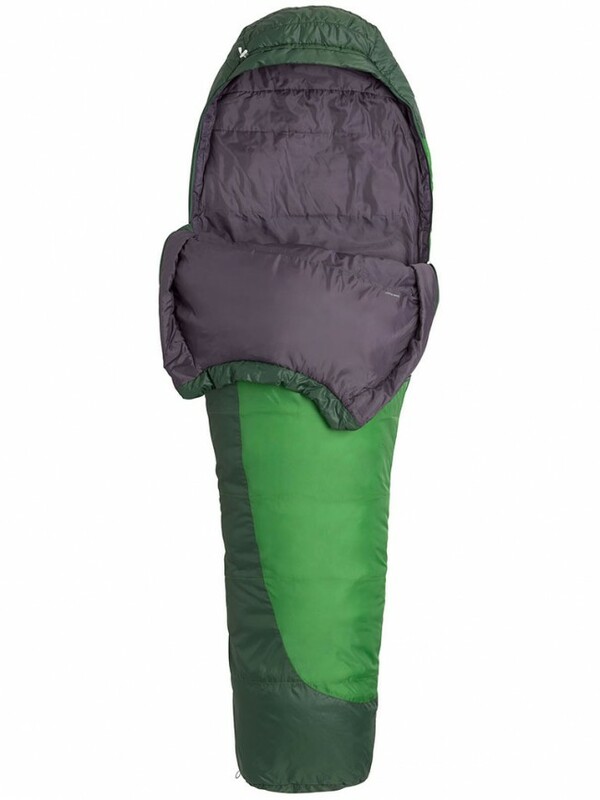 SpiraFil™ is Marmot's own unique synthetic insulation used in our value-priced line of sleeping bags. SpiraFil™ is a unique blend of large, spiral hollow fibers for loft, and small polyester fibers for warmth, softness and compressability. SpiraFil™ provides an exceptional combination of warmth, softness, low weight, and compactibility. Thermal bonding ensures high tear strength and long-term durability. Marmot began as a sleeping bag company and we continue to pioneer performance, value and insulation standards in the outdoor industry. All Marmot sleeping bags are EN tested to ensure quality and performance. During the development process, we send all samples to the Thelma Testing Center in Norway. We continually use the Thelma Center to achieve continuity in our results. What is the EN 13537 test? EN, short for European Norm, is a government test for sleeping bags. How is the EN test conducted? First let's be clear that it is challenging to test temp ratings because there are so many variables. Every person will sleep differently in the same bag. Choices like clothing, sleeping pad, tent or no tent, eating and drinking before bed can all affect one's sleeping experience. For the EN test, a copper mannequin named Charlie is fitted with 20 sensors and a clothing layer (top, bottom, and socks) that provide a consistent thermal value. The mannequin is placed in the sleeping bag and put onto a wood platform roughly 12mm thick. The board is held above the floor with some support which allows air circulation under the board. The board is covered with a mattress that has a consistent thermal value then placed in a cold room. A mathematical formula is used to measure the data received from the sensors based on human modeling. Why is there an EN Test hangtag on Marmot bags? Marmot sleeping bags sold in Europe require this testing and hangtag. We include this hangtag on all of our bags, as we believe it is the most reliable and accurate measure of the performance of a sleeping bag currently available. How does EN testing differ from other methods and is it better? When Marmot first started testing bags, especially when we used Gore-Tex® fabric, our designers would go into meat lockers and sleep over night. Once they were able to sleep through the night they looked at the amount of fill to determine the temp range. Nowadays it is a bit more scientific. The testing method used in the US is very similar to the EN test. They use a copper mannequin, but the clothing, pad, and math formula are different. 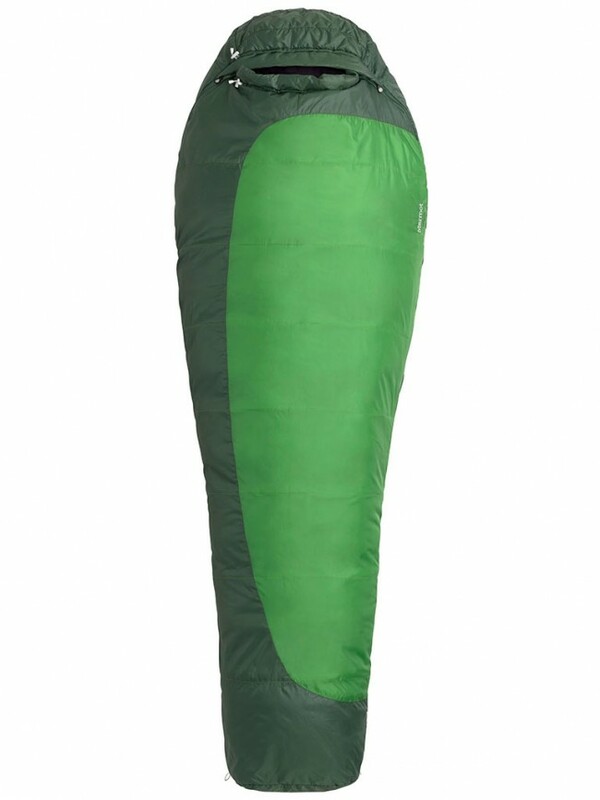 Again we feel the EN test is the most reliable and accurate measure of the performance of a sleeping bag currently available. Has the feedback from the EN testing improved the designs of Marmot bags? Yes it has. The vast majority of our bags have tested to our current temp ratings. In some cases, the tests showed our bags were actually warmer than the rating we gave it. In another instance, there was a spot that showed room for improvement which led to more efficient baffle construction. With our baseline testing started in 2004, we can now measure improvement over time through new fabrics, insulation, and construction techniques. Will the EN test become an industry wide standard? That is unknown. Currently our industry can't agree on how the testing should be done because of all the variables. The European government has stepped in and taken control of standardized testing. For the meantime, Marmot will continue to test with the EN standard. Marmot rating vs. EN rating? Marmot's assigned temperatures are comparable to the EN lower limit rating. During Marmot's development process we send all samples to the Thelma Testing Center in Norway. Continually using the Thelma Center allows us to achieve continuity in our results. Hand wash warm, 105 degrees Fahrenheit or 40 degrees Celsius or machine wash Warm, Gentle cycle in a front load washer only.